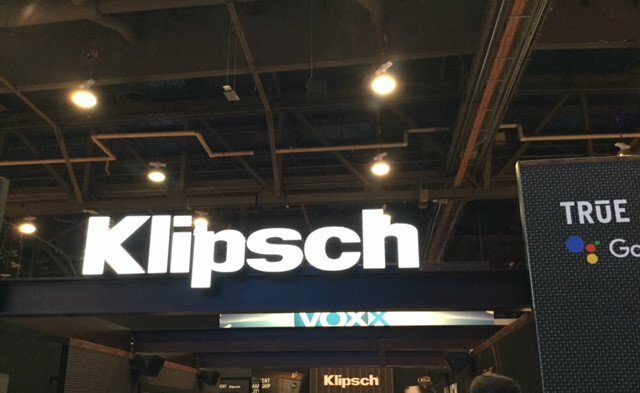 Klipsch has a beautiful exhibit at CES this year, staffed with a great team of friendly folks. Klipsch FB page "Reference Wireless wins best of #CES 2019. Thank you @avsforum! " So you went there and you only took one photo? This is a little awkward, but it looks like I have more pictures of me and a girl than pictures of the Klipsch exhibit. I have made up a couple of good excuses for this. 1. She is very pretty. 2. There were no Heritage speakers on display. Here is a photo I took of a TV image, just to brighten up this dull posting. I have to think about that very carefully. I went back and snapped a shot of this speaker, the largest Klipsch at their exhibit. TRuE is the word for the new marketing theme. TRuE Audio. TRuE Realism. TRuE Entertainment. Was this the girl? Then I understand! Thas big booty judie. A favorite around these parts.